Teachers never have enough time and prepping centers takes a lot of time! I want to share with you some easy and inexpensive fall literacy centers that your students will love while they are learning! 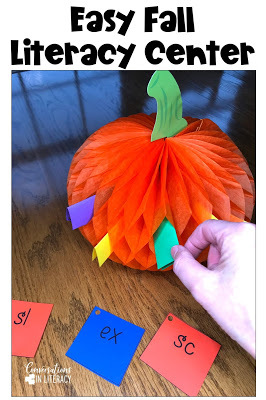 Pick A Pumpkin is beyond easy and my students ask to play it almost every day! 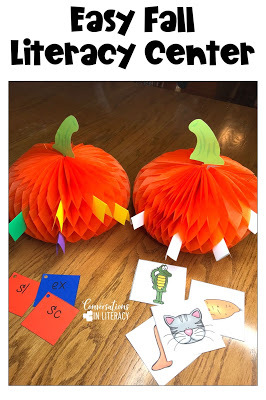 I bought a couple of decorative pumpkins from Walmart for 98 cents each. 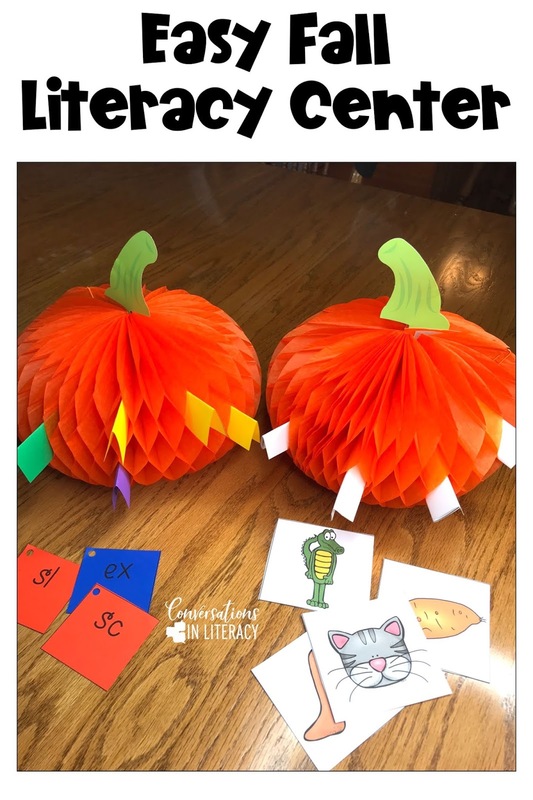 If you are working on beginning sounds or prefixes, fold those papers in two and stick them into the slots in the pumpkins. 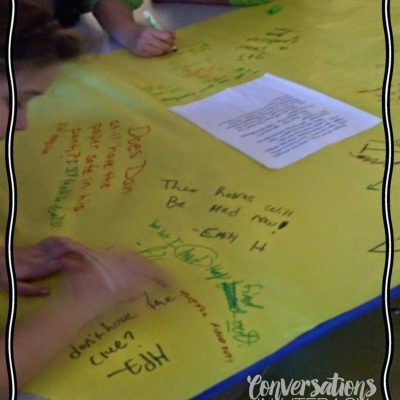 Students then Pick A Paper and read it or say the beginning sounds or whatever skill you want them working on. I have the students pass the pumpkin by holding the stem so the tissue paper doesn’t get smashed. 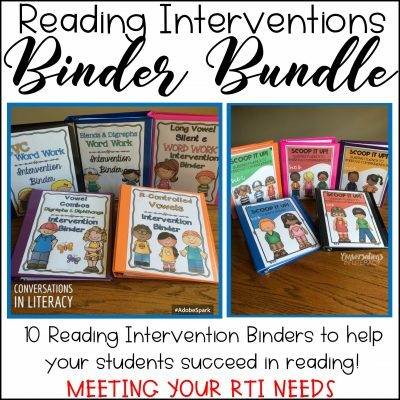 You can do this as a quick once or twice brain warm up going around the guided reading table. My students really enjoy this game and it is easy to switch out the cards for different groups. 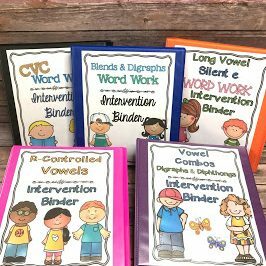 You could also use ABC letter cards, vocabulary, math problems, etc…. 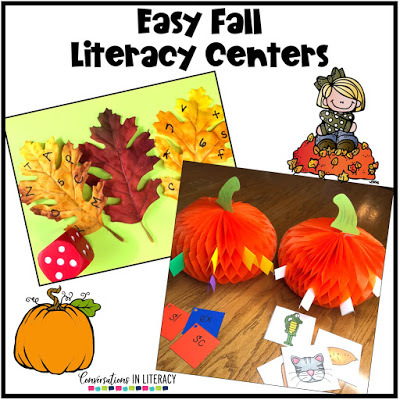 Another fun center is using decorative leaves- also from Walmart for 98 cents a package. 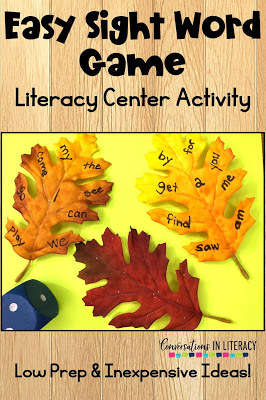 The lighter colored leaves work the best for words showing up on them. 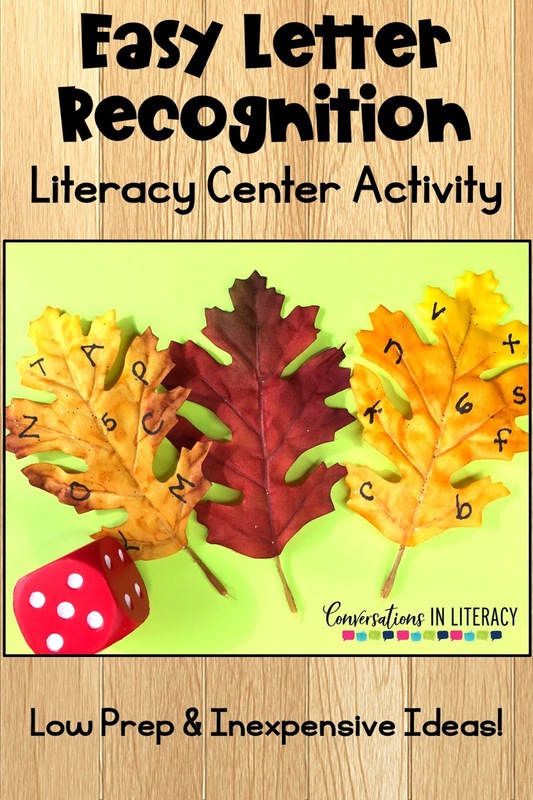 Just number 6 leaves from 1-6. 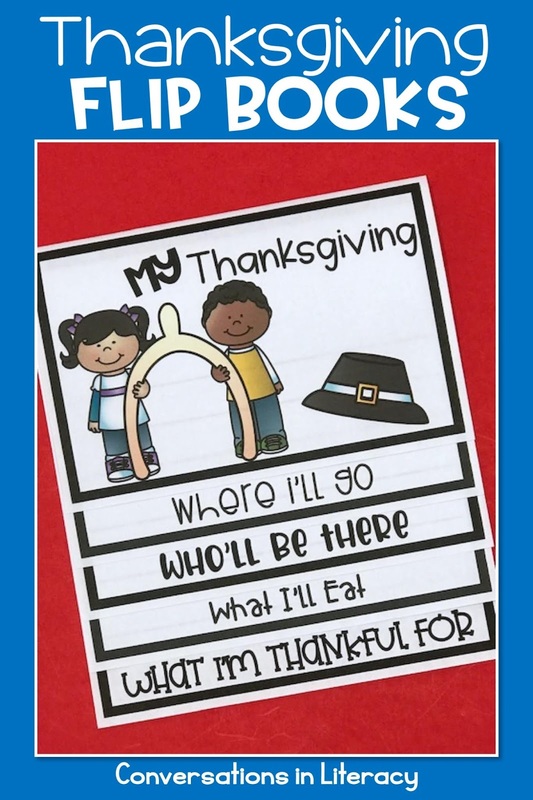 Then write sight words, ABC letters, chunks, blends/digraphs, etc…. on them. Students roll the dice and read the leaf they rolled. 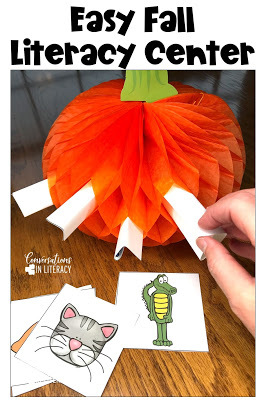 Super easy ! Can You Find It? is a game we have played for a long time. 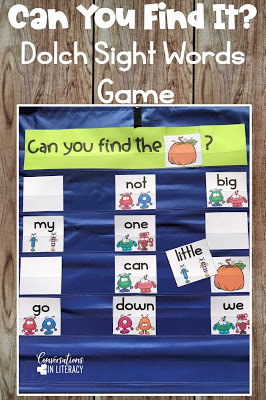 Sight word cards with the words facing out go in a pocket chart. 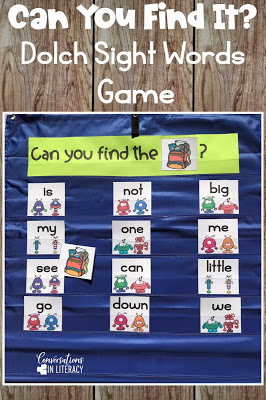 Hide a picture card behind one of the sight word cards. 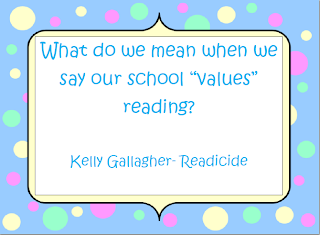 Students choose a card to read. If they read it correctly, lift the card for them to see if they have guessed correctly where the hidden card is. Students love the anticipation while lifting the card to see if the picture is there or not! 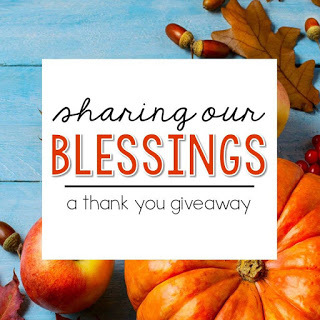 You can find this game by clicking here. 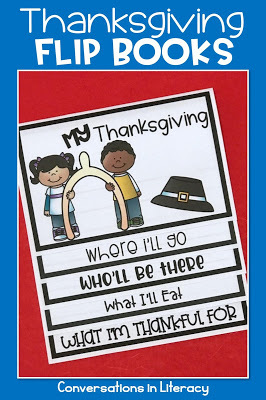 Thanksgiving will soon be here so it is time to get going on all those writing activities! 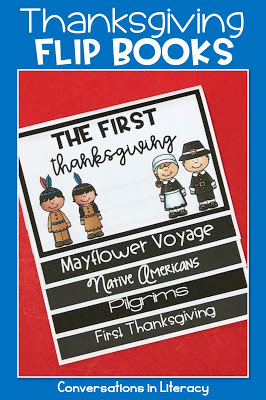 These Thanksgiving Flip Books are a great way for students to write about what they have learned in social studies. 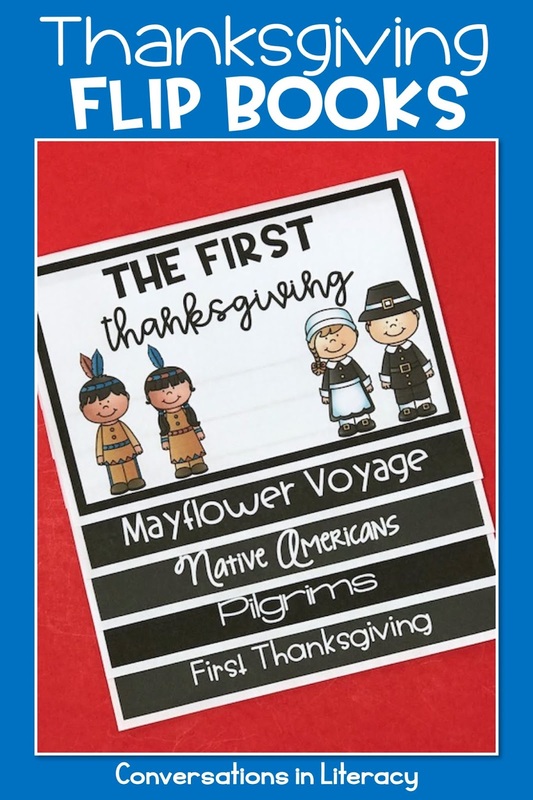 This Thanksgiving Flip Book is a fun way for students to write about their Thanksgiving traditions! 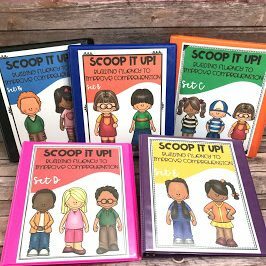 You can find these flip books here! 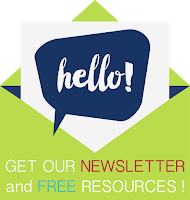 Stay up to date with new posts, teacher tips, and new freebies by signing up for our newsletter! Do that right here! 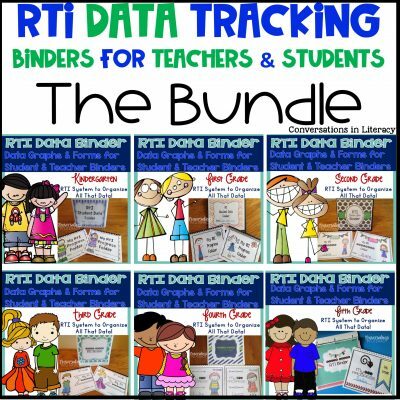 « Read To Self Bags and Reading Tool Kits What’s Inside?